Wow. There are a lot of movies based on the writing of Stephen King. It’s not really surprising as King is one of the most popular fiction writers, perhaps, of all time. Yet, it’s still quite a feat. In the past few years, there has been something of a renewed interest in adapting his work to cinema. There have been first time adaptations like The Dark Tower, Gerald’s Game, and 1922. There’s even a planned sequel to The Shining, titled Doctor Sleep, set for release later this year. Then, we have the slew of remakes and reboots meant to update old titles with a fresh coat of paint. 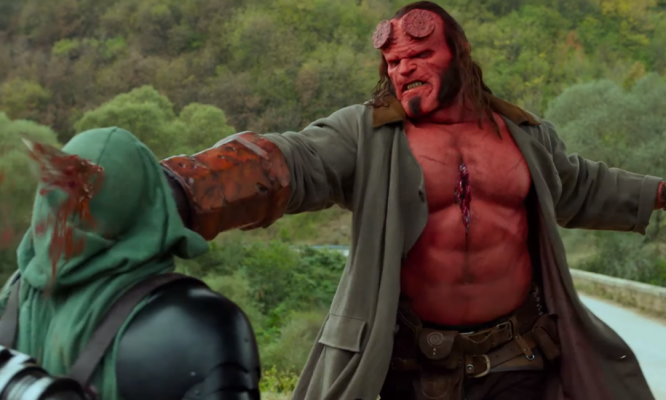 After the massive success of 2017’s It and the expected response to its sequel later this year, we can probably expect a whole lot more of these remakes going forward. The first of 2019 is a second attempt at translating King’s 1983 novel, Pet Sematary. The first film was released back in 1989 and, despite some mixed reviews, has since become a cult classic. Originally, the film rights were sold to horror legend George A. Romero, who King collaborated with on 1982’s Creepshow, for $10,000 in 1984. Romero was busy with his film, Monkey Shines, at the time and didn’t get a chance to make Pet Sematary. Following the 1988 Writers Guild of America strike, executive Lindsay Doran obtained the rights and production of the film would be underway with Mary Lambert directing. Due to its success, the film received a sequel in 1992 that wasn’t well received. Similarly to the 1989 film, the 2019 version toiled around for almost a decade before being made as well. 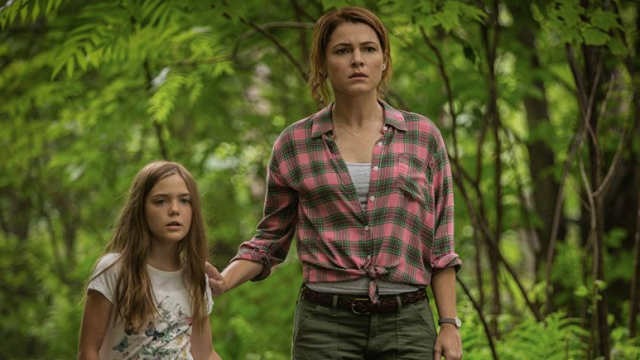 The plot sees Louis Creed (Jason Clarke) and his family move to Ludlow, Maine with his wife, Rachel (Amy Seimetz), two children, Ellie (Jeté Laurence) and Gage (Hugo and Lucas Lavoie), and the family cat, Church. Shortly after their arrival, Ellie follows a procession of children into the woods and discovers a small graveyard, a pet cemetery. The Creed family’s new neighbor, Jud Crandall (John Lithgow), warns Ellie and Rachel not to wander as the woods can be dangerous. Louis, a doctor from Boston, is shaken when a young man named Victor Pascow (Obssa Ahmed) dies in his care after he’s hit by a car. Louis suffers from a nightmare in which Victor leads him to the pet cemetery. He wakes with his feet covered in mud. Shortly after, Church is killed after being hit by a truck. Knowing how much Ellie loved her cat, Jud leads Louis beyond the cemetery to bury Church in a ritualistic fashion. Church returns from the dead but isn’t quite the same as what he once was. From here, the family is struck by tragedy. The film’s plot is your standard supernatural Stephen King story. There’s something classic and familiar about it even if you’re unfamiliar with King’s novel or the 1989 film. Oddly enough, though, at only 101 minutes, Pet Sematary feels a little too long. 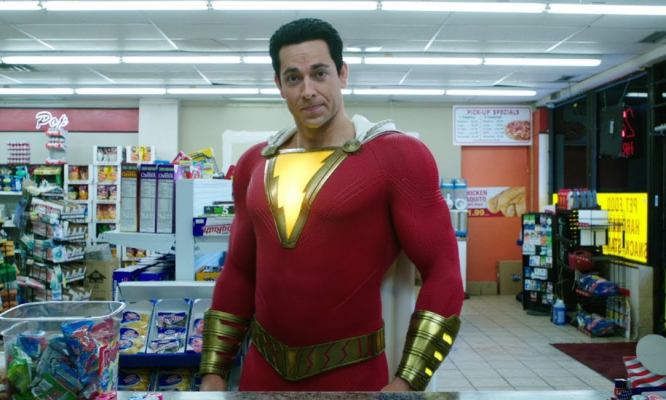 The issue being that the first half of the film drags on for what seems like an eternity before it gets to the meat of the story with Church being resurrected. This doesn’t necessarily mean that the first half is bad but it could’ve definitely used some tightening up. Most of this time is spent acquainting the audience with the characters. Even though the beginning drags, you do actually feel like you know the characters by the time the horror elements kick in. Jason Clarke is solid as Louis Creed as he tends to be in all of his roles. He’s not a spectacular leading man but is always good enough to get the job done. John Lithgow is very good as Jud Crandall. While he is a bit of an exposition machine, Lithgow’s Jud relays things to the Creed family almost as stories which kind of mask the deficiencies of the screenplay. The main standouts of the film are Amy Seimetz and Jeté Laurence as Rachel and Ellie respectively. Seimetz as Rachel has a dark family history that continues to plague her and allows you to sympathize more with her character. 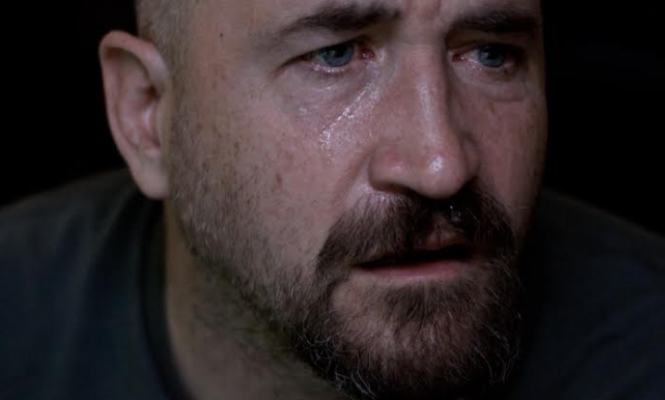 Laurence is the linchpin of the film and exceeds expectations. Everything that happens throughout the film relates back to her character in some way. She’s the emotional crux for Louis, Rachel, and Jud and, as a viewer, it’s easy to see why because of Laurence’s performance. 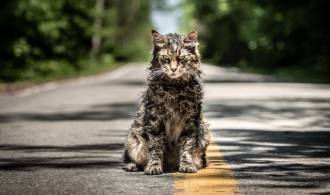 Of course, Pet Sematary is a horror film but does it deliver the goods in that regard? Yes and no. Firstly, the film is actually rated R even though it doesn’t really need to be. There isn’t a ton of gore or anything that shocking. It seems that the rating moreso stems from the handful of F-bombs it drops as opposed to blood and guts. Had the filmmakers cleaned up the language a tad, this would easily be a PG-13 film. As for the scares, there’s some decent work here. The creepiness of something like 2017’s It certainly exceeds Pet Sematary but there’s a chilly atmosphere mixed with some hard hitting deaths. The most eerie moments tend to take place with Seimetz’s Rachel and her history. There’s nothing that’s going to terrify anyone but the film’s overall mood works here. 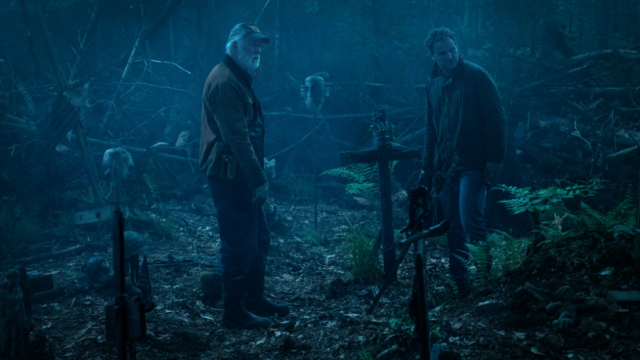 The one thing that brings Pet Sematary down, other than its slow start, is that it feels sort of run-of-the-mill. There’s nothing overly unique or interesting about it. It’s just a solid horror film. When it comes to other recent horror films like A Quiet Place or Hereditary, there’s something special about them. Even a remake like It had some added flair to it that set it apart from its predecessor. Too often it feels like Pet Sematary is just going through the motions. There’s no rollercoaster of emotions or significant scares to highlight. It’s a well crafted and well acted Stephen King flick that keeps your attention and entertains for its duration. The word that keeps coming to mind is “solid” and that’s exactly what it is. As a whole, Pet Sematary is a fine film with some great acting and an intriguing idea at its core. It’s not spectacular but it gets the job done.